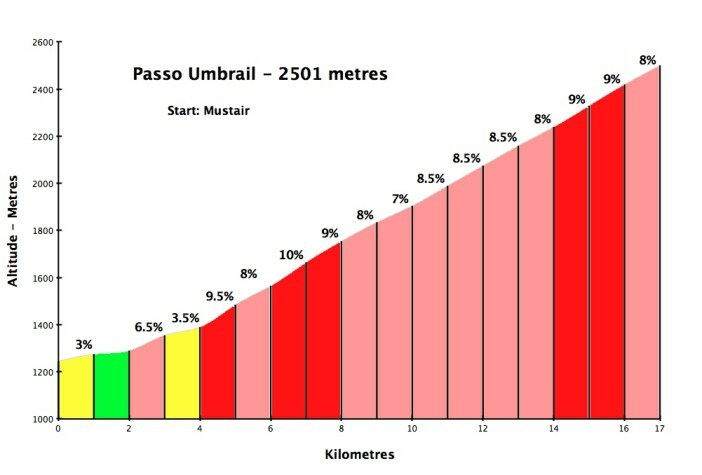 When I try and rank my favourite cycling climbs I think of difficulty, altitude, and most of all beauty. The landscape, snow-capped mountains, cliff stretches, alpine lakes, and of course hairpins. 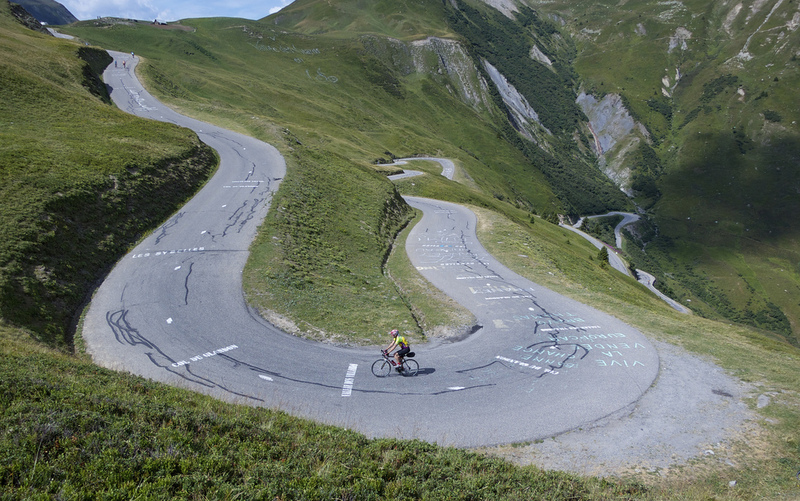 Who doesn’t love cycling a good hairpin or two? 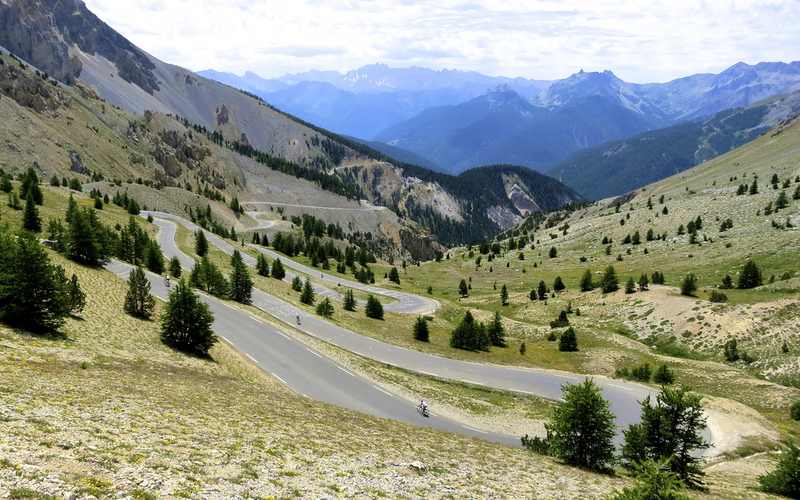 Across the Alps there are a few extra-special climbs where the first word used to describe a road would be “hairpins!” Here are Ten of my favourites. Hopefully there are a few that are new to you. Feel free to suggest your favourites in the comments. At the bottom of the post find a few honourable mentions as well as some favourite hairpin photos from other climbs. I used the Italian name (Gotthardpass in German) as the old Swiss cobbled Tremola road is on the Italian speaking side of this pass. The pass has for centuries been one of the busiest routes linking the north (German speaking) and south (Italian speaking) side of the Alps. The 13th century hospice (rebuilt several times) is still at the summit. The first wheeled carriage crossed the pass in 1775. 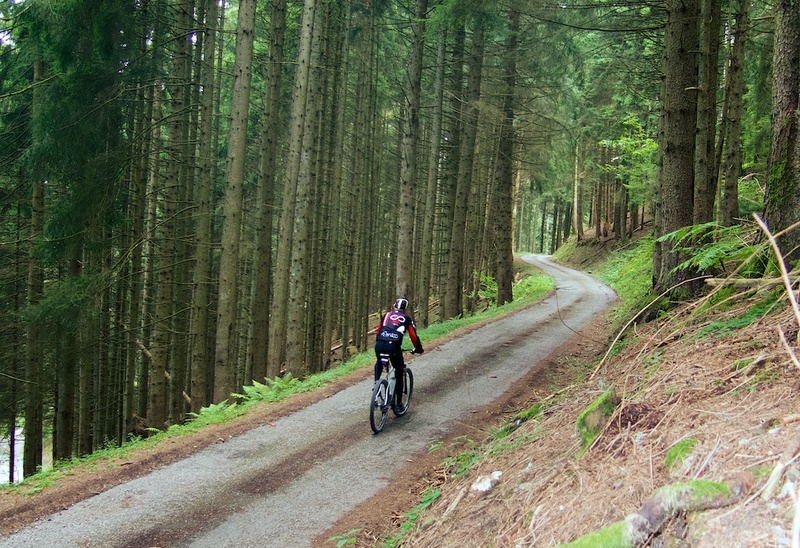 Climb with a road bike, these are well maintained Swiss cobbles. More details here. 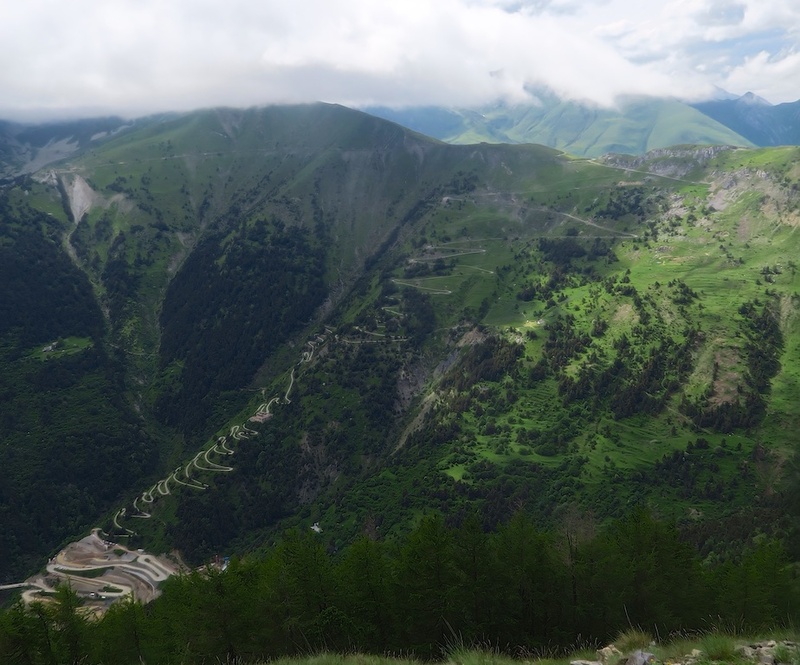 This old military road up to the French/Italian border has 46 hairpins in only 8 kilometres. Several old forts and ruins overlook the road and are reachable by bike. Vaguely paved lower down, bring wider tires to fully explore the bumpy gravel higher up. More details here. 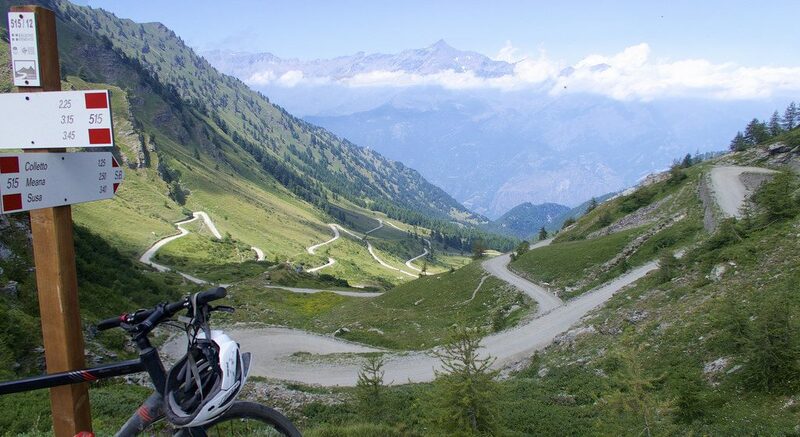 The second highest paved mountain pass in the Alps, this is easily the most famous climb on the list. The renowned engineer Carlo Donegani designed and led the building of this engineering marvel. Construction began in 1820, taking five years and more than two thousand builders to complete. The Emperor Ferdinand was on hand at its opening and was so pleased that he would later grant Donegani the title “Nobleman of the Stelvio.” – nice! The famous NE side, pictured above, has 48 numbered hairpins but don’t forget the Bormio side with 40 signed hairpins, or the super quiet Swiss route via Umbrailpass. Details of all three sides plus a brief history of the pass are here. 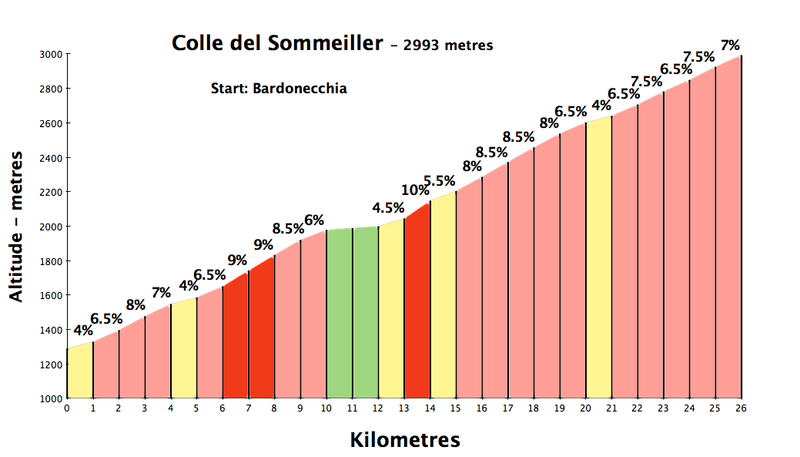 In Swiss-Romande this is one of the toughest, but most beautiful, climbs I know (enlarge the profile, I dare you). 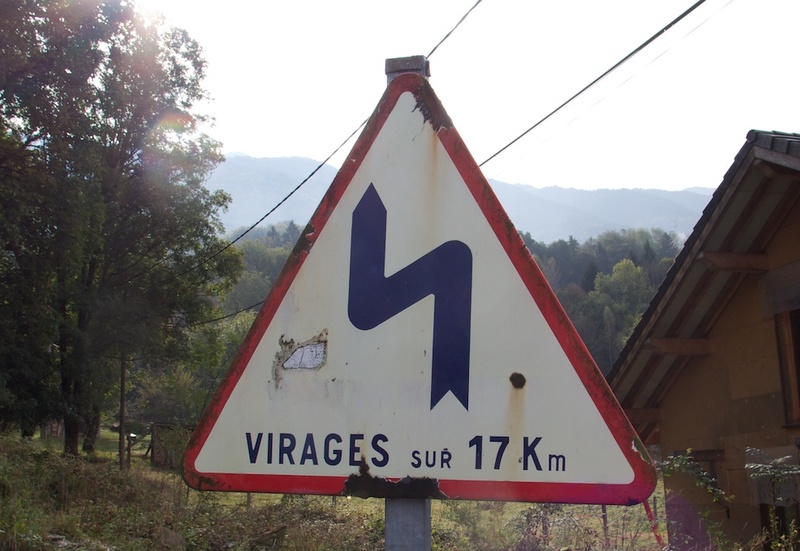 There are more than 50 hairpins on this ride, including 29 numbered hairpins on the first 6 paved-kilometres or so to the village of Morcles. The hairpins start at #29 and I found counting down as I progressed allowed me to forget how steep it was. Fun. But bring wider tires and go much higher for more hairpins and cliff stretches. Details here. Driving on the French A43 Autoroute towards Torino, if you know where to look – and you need to know where to look – you will see the most amazing little road crawling up a cliff. These are the Lacets de Montvernier. 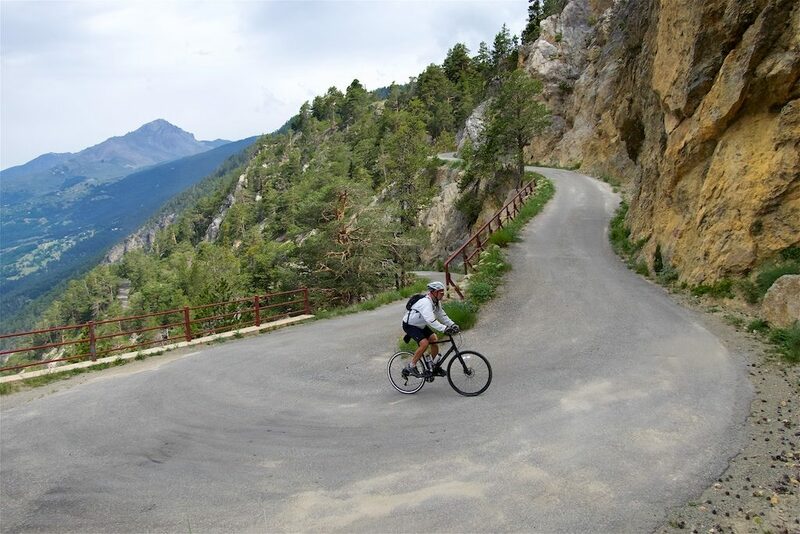 A local “secret” in the Maurienne valley, this wonderful little road suddenly leapt on to everyone’s “must-ride” list after appearing in the 2015 Tour de France. 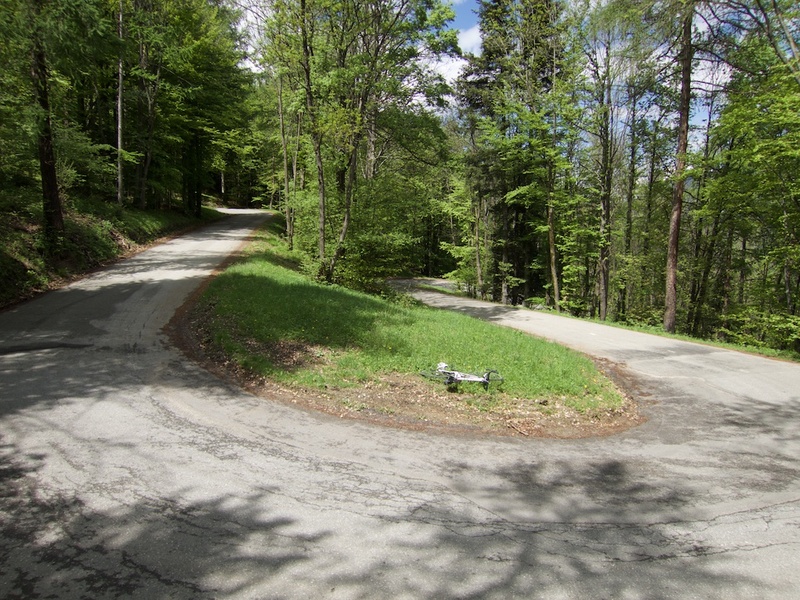 It’s the easiest climb in this post: 17 lacets (hairpins) over only 2.5 kilometres, at perhaps 8%. Much fun. But don’t stop at the top. 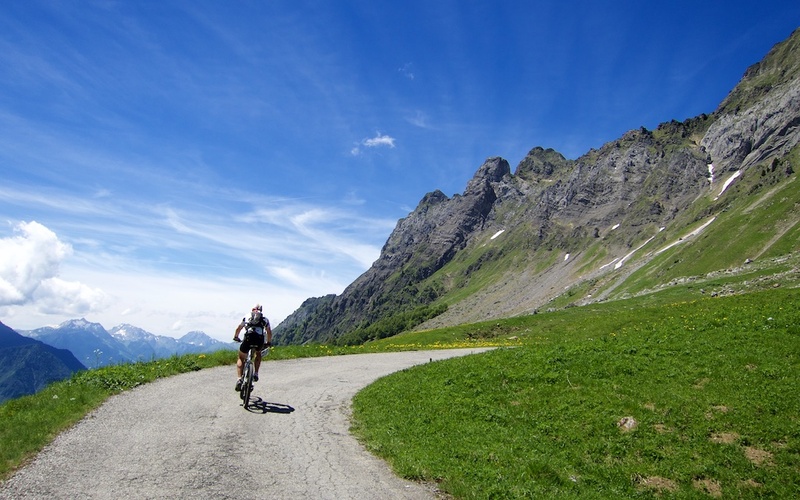 Keep climbing, as it’s another 10+ paved kilometres higher to Col du Chaussy, and with wider tires a superb unpaved “secret” route to Col de la Madeleine. 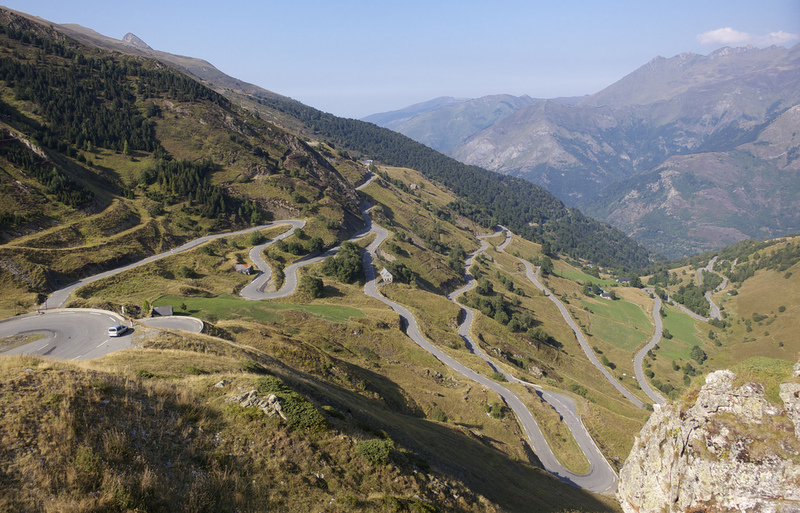 Full details here – including how to find the cliff look-out to photograph these great hairpins. 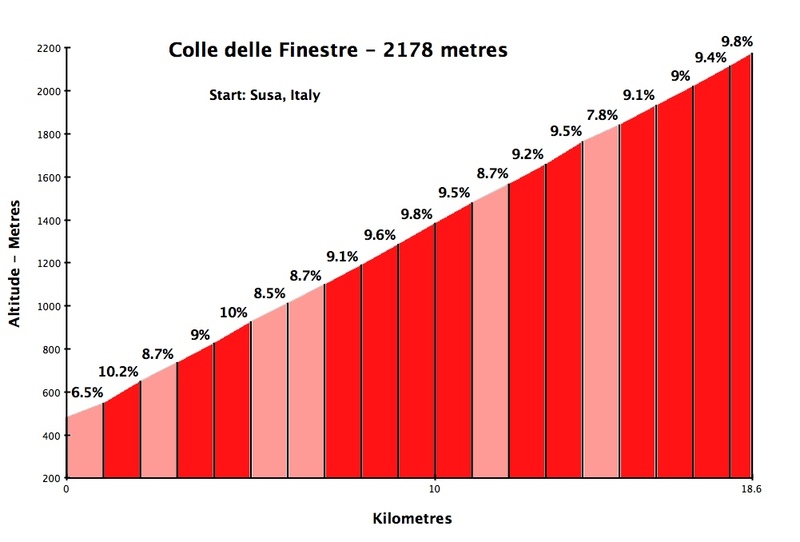 If Montvernier is easy, Finestre is a monster. 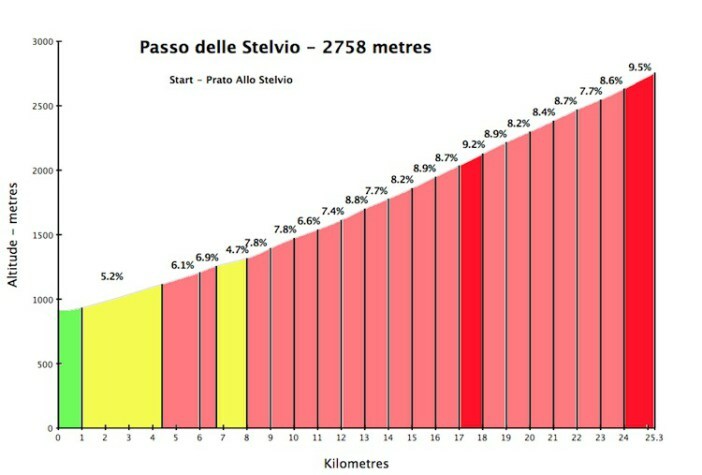 This is one of the legendary cycling climbs in Italy appearing in the 2005, 2011, and 2015 Giro d’Italia. 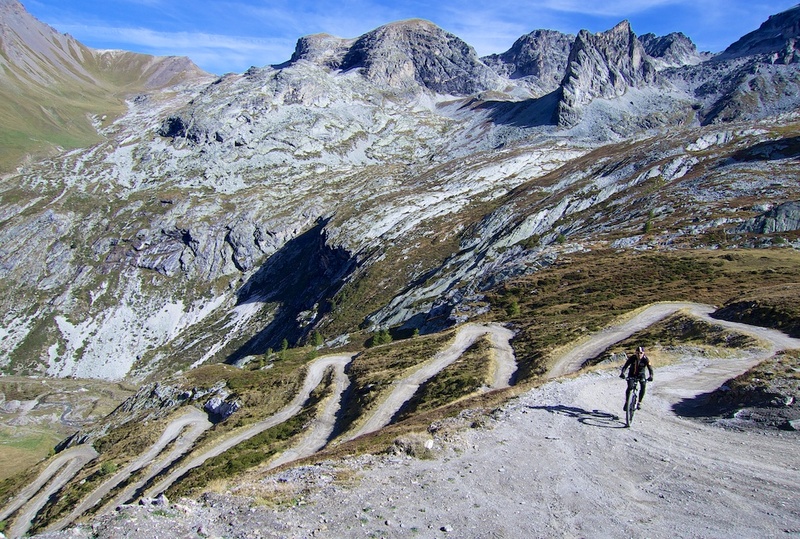 It’s a beast of a climb, one of the toughest in the Alps. But the grade is steady. It’s almost always either side of 9%. No respites, but few crazy steep ramps either. I believe it has 45 hairpins, including a crazy 3 km stretch lower down with 30 dizzying hairpins. Nearing the summit the hairpins are also wonderful. 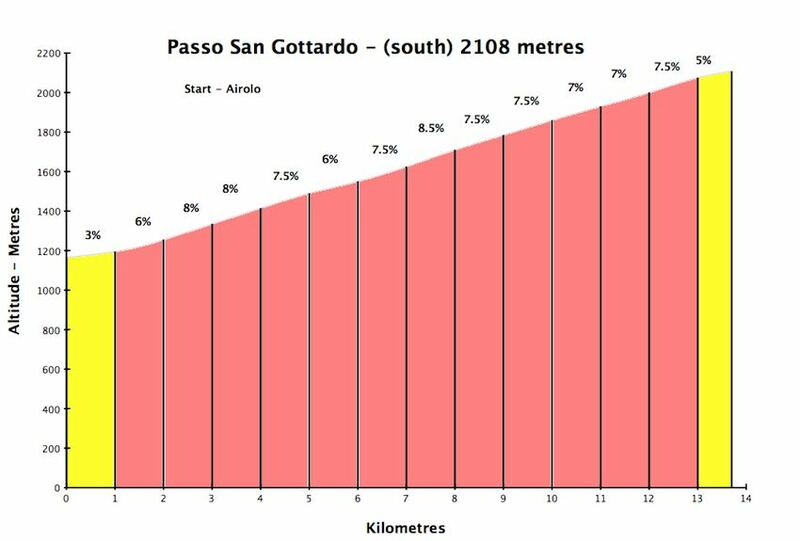 Full details here, including how to continue higher above the Colle on some fantastic old Italian military roads. Trivia: Name a climb south of Annecy with virtually the same stats as Alpe d’Huez yet double the hairpins. Oh, and with almost zero traffic. 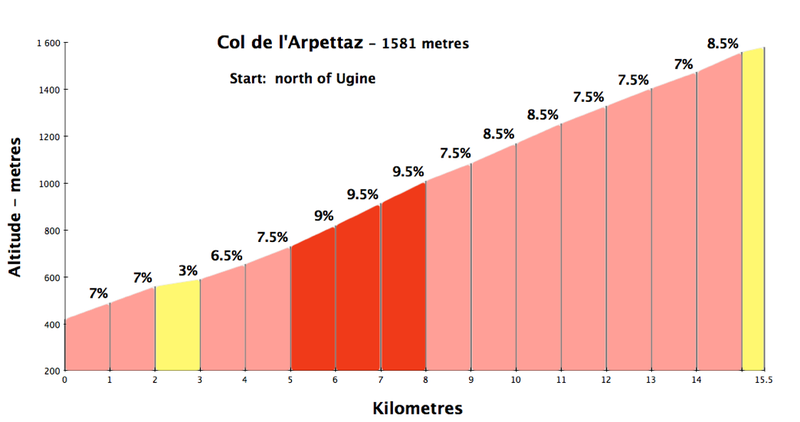 If you didn’t guess Col de l’Arpettaz, don’t worry, not too many other people seem to know about this superb climb. Details here (I received more thank-you emails from people that would climb Arpettaz and love it than from any other post in 2016). 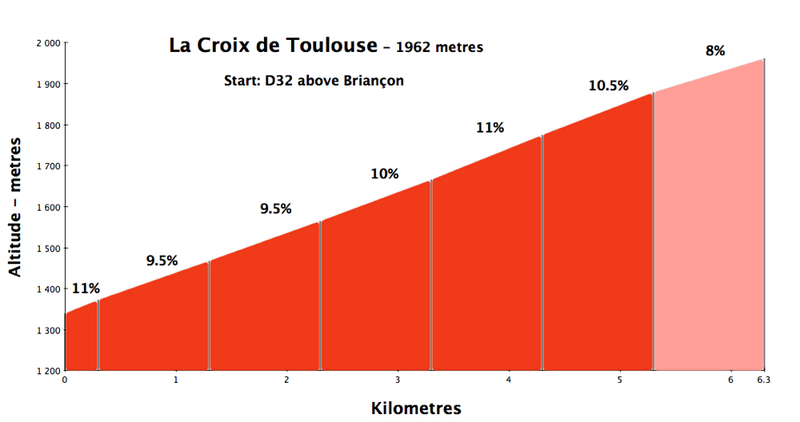 The climb is slightly longer, and steeper than Alpe d’Huez and has almost double the hairpins. 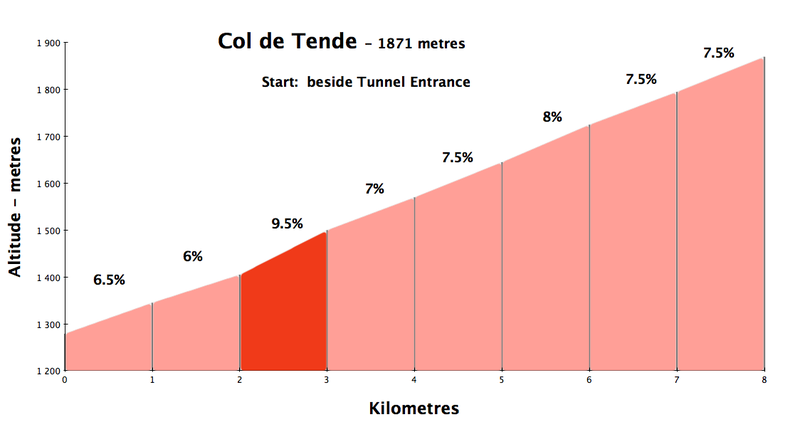 But unlike Alpe d’Huez – this climb is on a tiny, badly surfaced road, with absolutely no-one around. Details here. 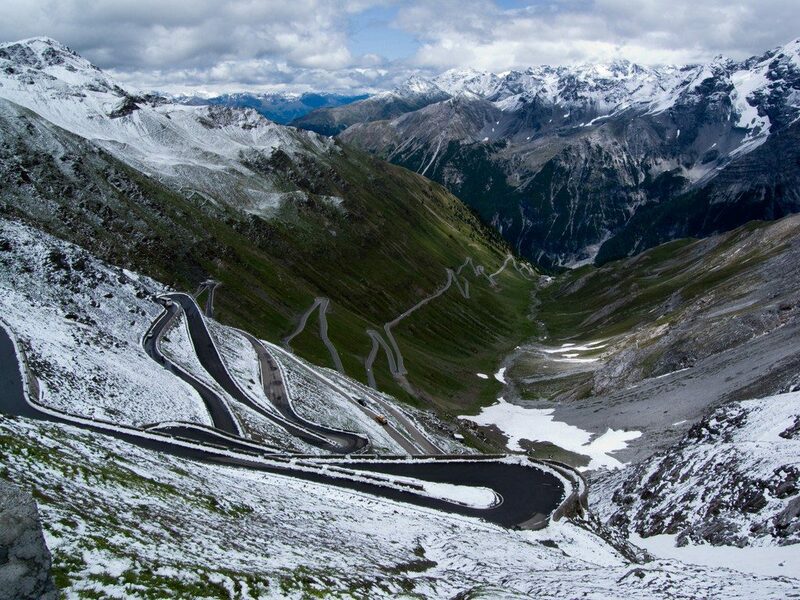 At 2,993 metres, Colle del Sommeiller is one of the very highest roads in Europe. 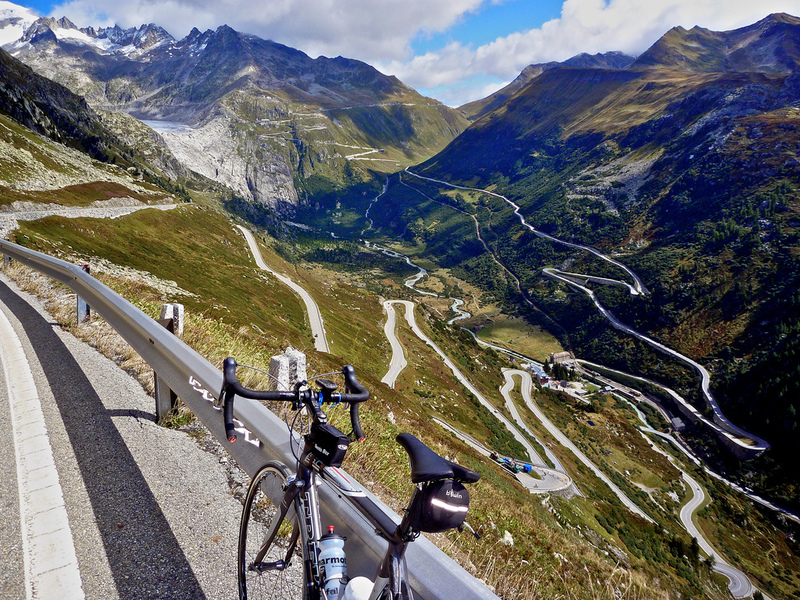 Cycling author Daniel Friebe once told me this climb was the “Holy Grail.” Yep. While there are long straight stretches, there are also roughly 50 hairpins on this climb mainly bunched in two sections. One a little more than half way up, and then another near the summit. Details here. I debated with myself on this 10th choice, but thought I’d choose something obscure but very fun. 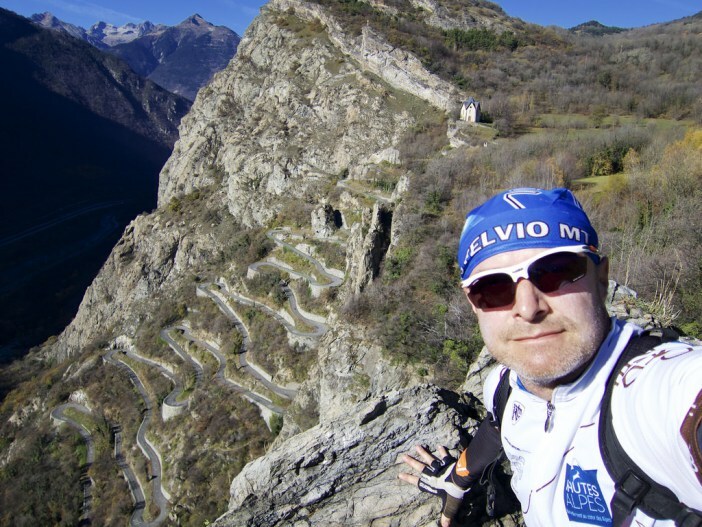 This wonderful, tiny, paved road finishes high above Briançon. 6.3 kms averaging 10%, with 29 hairpins. With great views. Details here. 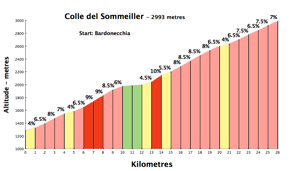 Colle del Nivolet: My favourite climb has some nice hairpins. Details here. 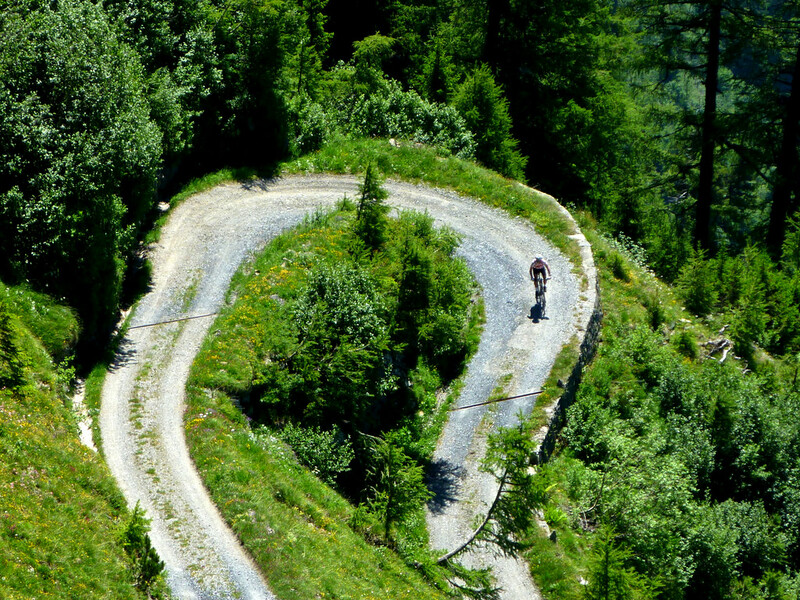 Col du Glandon: The final 2.5 kilometres are hairpin heaven. Details here. Col du Mollard: A great “long-cut” up Col de la Croix de Fer the lower half has roughly 40 hairpins in quick succession. Details here. 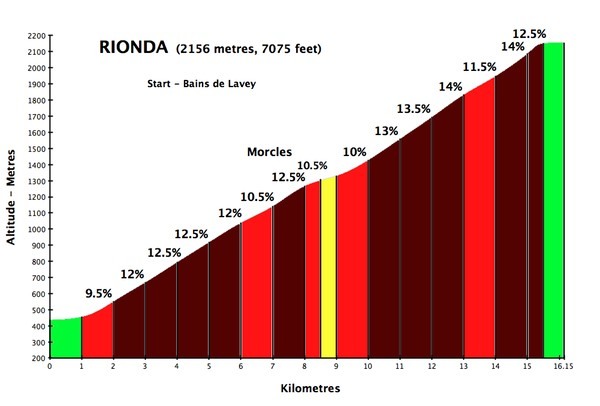 Luz Ardiden: An interesting climb in the Pyrénées (surrounded by several even better climbs), the final stretch to the little ski station is one of the great hairpin views. Details here. Grimselpass: In central Switzerland, surrounded by huge, beautiful climbs, the easier side of Grimsel has some great views (Furkapass in the distance) Details here. 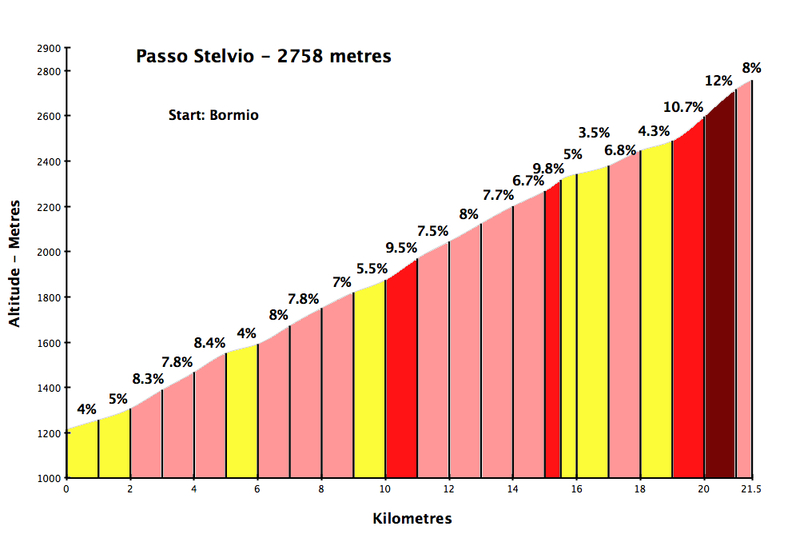 Passo della Foppa (Mortirolo): No-where near as beautiful as nearby Passo Gavia, you don’t climb Mortirolo’s 32 signed hairpins for fun, but to find out if you can. Steep. 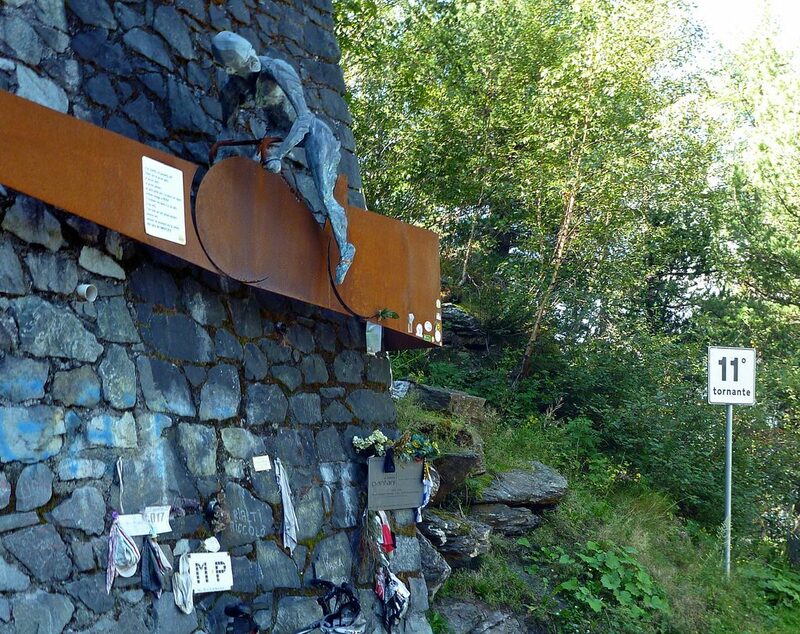 Hairpin number 11 has a Pantani statue/memorial. Remember to leave your sweaty head scarf. Details here. Col d’Izoard: The last couple of kilometres on the south side of Izoard have fabulous hairpins. Perhaps the best stage of the 2017 Tour de France will cycle these hairpins finishing at the summit. Details here. Above is a subjective but hopefully fun list that perhaps gives some of you some ride ideas. But the Alps are full of great hairpins. Over time, I’ll build a little photo gallery below with some of my favourite hairpin photos. Clicking/hovering on any photo should give you the name of the climb. Wondering why Col de Tende didn’t make your calendar?! Another col for my wishlist! Amazing list & photos! 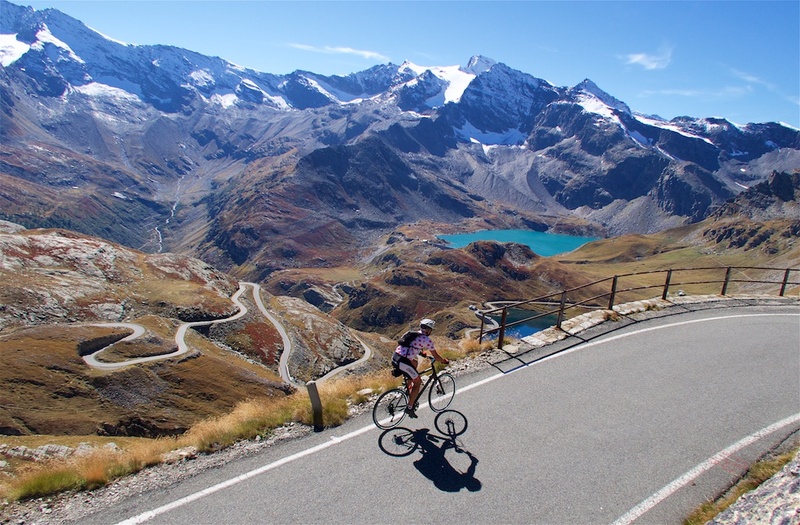 This could easily be a cyclist dream bucket list. Thank you for sharing. 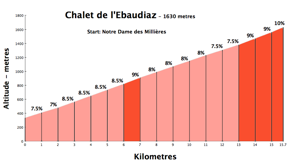 Living in the foothills of the Midi Pyrenees we think that we have some fabulous hills to climb on our doorstep – I guess we are a little biased! Its always interesting to see and hear about other peoples experiences of cycling the different passes. Your photographs are fantastic. I am so pleased that I came across your article. Merci vraiment très sympa ça donne envie!